There's many ways to fix exposure issues in Lightroom, but I'm going to talk about one of the techniques that I employ and teach in my classroom. 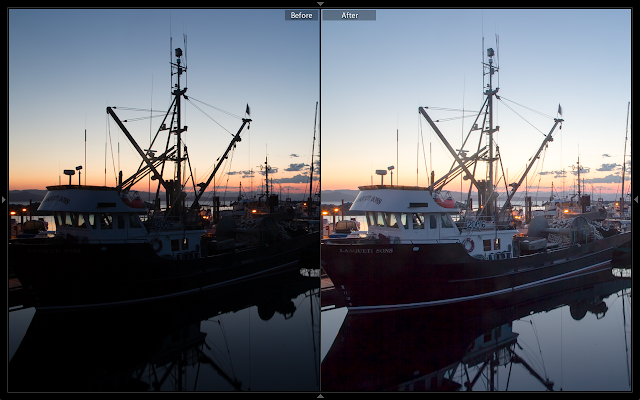 Before and after tonal correction. 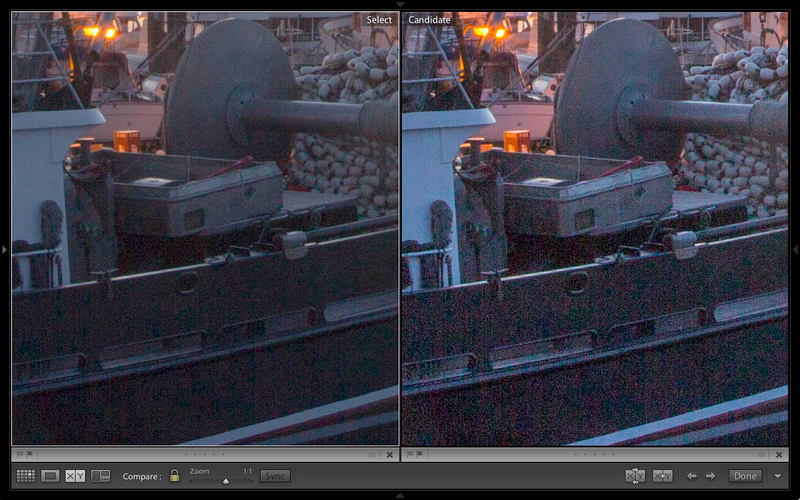 One of the more common mistakes in Lightroom 4 is to use the shadow slider to recover tone alone. Some other tutorials also suggest adjusting the exposure and even to some extent the tone curves. All of these techniques work, but they often introduce a lot of noise issues where they often suggest to remove with the noise reduction settings (look at figure 1). Figure 1: Common practice of tonal recovery often introduces lots of noise problems. 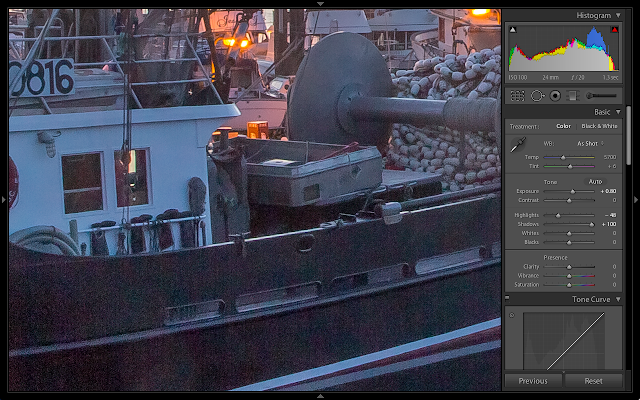 First a little explanation about how tonal recovery in Lightroom works. Shadow and Highlights are actually subsets of contrast while Whites and Blacks are subsets of Brightness. 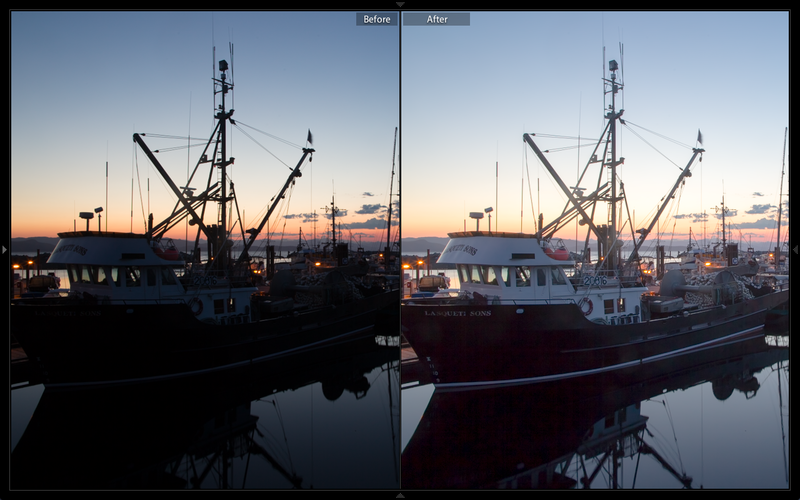 In Lightroom 4, these were introduced as alternatives to the older 'Recovery' setting which gave far more detailed control over the various contrast settings. It is also important to know that Clarity is also a subset of contrast as well. This affects the mid tonal ranges which also affects micro contrast and sharpness. When Adobe introduced the new approach though, many people immediately gravitated to using the shadow and highlights to compress the tones in each of the ranges. Which is precisely what it did. It either took the tones found in that range and either stretched it out or compressed it. Digital files are not kind to this kind of treatment and the amplification causes an enhancement of that noise detail. What I suggest to my students is a better approach which basically respects the data within the file, and allows the user to exploit the features of Lightroom with minimal noise. In Figure 2, the first thing I do is turn down contrast. Because Shadows and Highlights are subsets of contrast, I know I can bring up my contrast details through those sliders. By dropping the contrast, I also comfortably increased my exposure setting. You can see I went up by almost 2 stops. When you first do this, the image looks a little dull or flat, but don't worry, this is normal. Now that my contrast has been turned down I will recover some of that. Both my shadows and highlights are adjusted to taste, but also I adjusted both the whites and blacks. This brought back some of the punch that was lost by reducing the contrast. Lastly bump up your clarity setting to bring a little contrast to your midtones. Using my technique vs other methods of tonal recovery. Depending on how much you adjust, you'll still have some noise to contend with so I would still adjust your noise settings to taste, however by following this technique for tonal recovery, you should see a pretty dramatic improvement over other methods. Tanks for the tip. I have tried your tip and I agree with you. Yes, contrast - saturation - vibrance are very important and we don't have to forget that!!! AFAIK blacks/whites are subsets of contrast (you increase it once you put deeper black and whiter whites) which helps with flat image in high/low tones, clarity helps in the middle. in your scenario, you lower contrast soooo much the image is DULL and then you lower contrast again (adding shadows details and highlights details)? I would not say this would be preferred method of editing, besides, the picture (the 'better one') looks dull. The first one has at least drama. Thanks for your thoughts on that Karol. Actually I might have oversimplified this description. Black and Whites or Shadow/Highlights aren't easy to just compare to brightness and contrast sliders of the past. 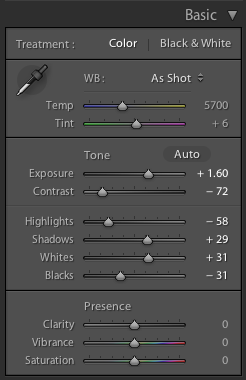 The traditional brightness slider is closer related to exposure than anything. However, I simplify the explanation of black and whites because ultimately, they do control black point and white points of an image. 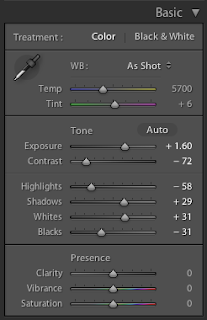 Shadow/highlight is a simplified toed contrast control (much like doing an S-Curve to control your highlights in your tonal curves control), while Clarity is midtone or also micro contrast control. The general contrast slider reduction does dull the image but in this specific tutorial, the object was not about creating more drama, but controlling over amplified noise. The object of this reduce dependency on noise reduction and to demonstrate how to do tonal recovery without resorting to that. It is subjective how much contrast you want to reduce and I agree with you about drama in the original. But the primary point in this tutorial was to demonstrate how the other three sliders (specifically shadow, highlight, and clarity) were subsets of contrast control.